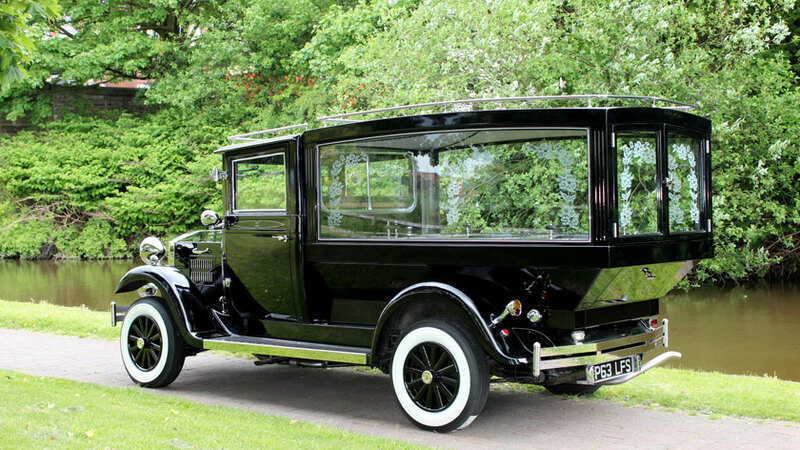 Our authentic Edwardian style hearse offers a piece of true British heritage for that final journey. 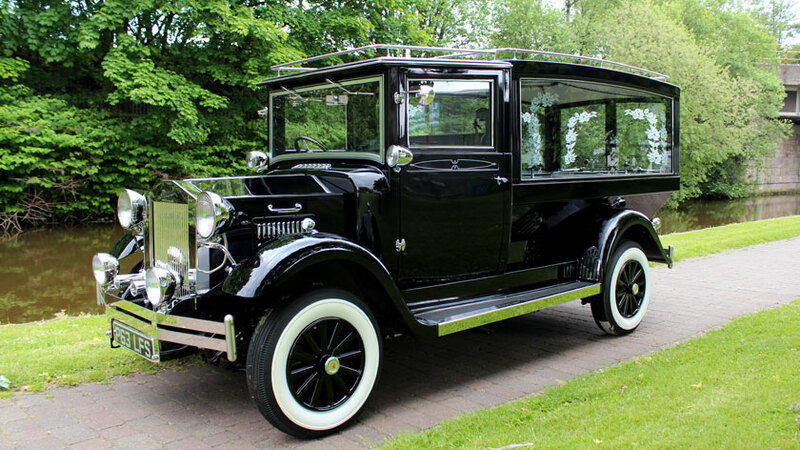 Twin rear doors, fine glass detailing, a plush velvet interior, whitewall tyres and prominent chrome headlamps all add to the dignity and decorum encapsulated in this fine motor vehicle. Its graceful lines evoke nostalgic memories of a truly gentrified era. 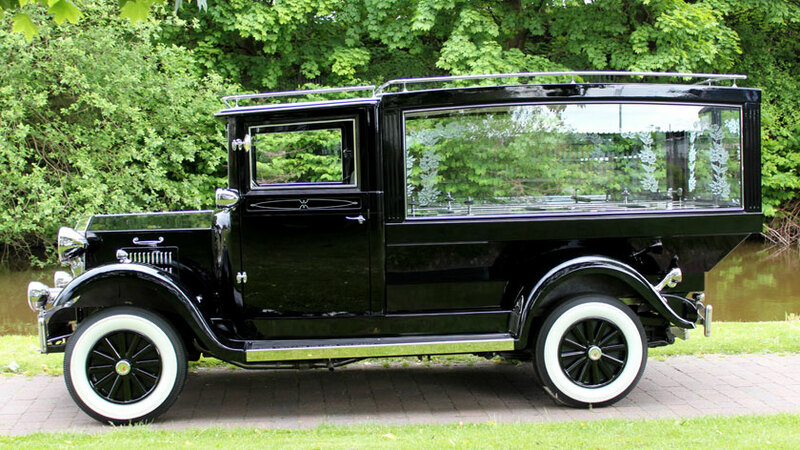 Year 1991-1997 The Hearse is built upon the chassis of a London Taxi, parts being very reasonable and easily accessible. 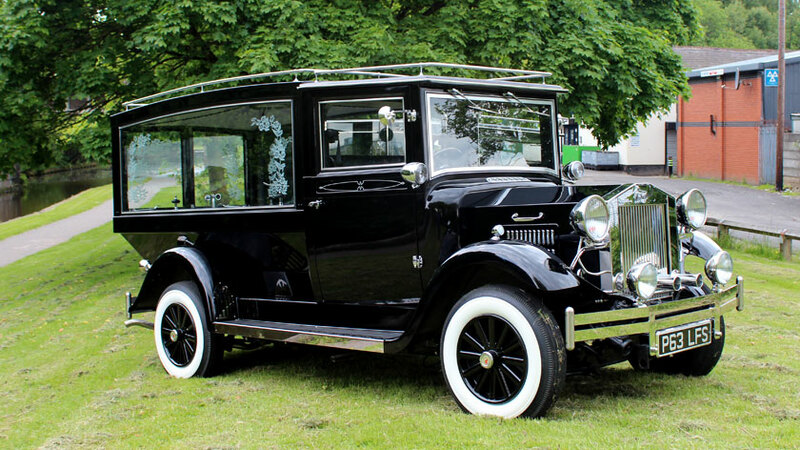 Turning Circle The hearse manoeuvers easily in confined spaces. For further information on vehicles or arrange a viewing, please contact Steve.